Activision has released the new Call of Duty Infinite Warfare gameplay trailer and it revealed a lot of new things. The game is set in space similar to the Star Wars series and for those who miss shooting spaceships, this could be the title to go for. 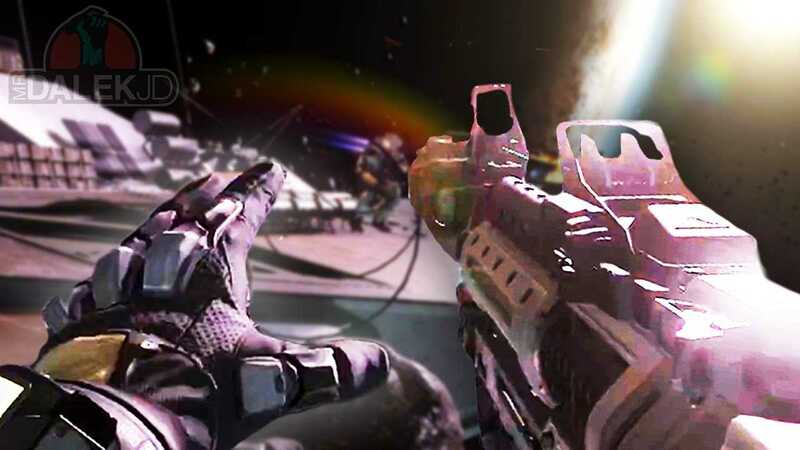 When Activision launched Infinite Warfare reveal trailer, the game met with much criticism. Gamers were angry on the developers for not delivering something interesting while Electronic Arts and Dice came up with Battlefield 1. However, the new trailer is quite different from what we have seen so far. The video begins with a new mission where the lead character embarks on a plane and shoots down multiple space crafts before he lands on one of the huge space ships. The action doesn’t stop there as they continue to fight in zero gravity using special equipment and weapons that work in such conditions. The whole gameplay video for Call of Duty Infinite Warfare lasts more than seven minutes and gives a very good introduction of what to expect from the title. Compared to the previous tease, this one looks much better if not groundbreaking. While some gamers are still annoyed with the concept, the game may sell in most regions because of the Call of Duty tag associated with it. Another selling point could be the fact that Infinite Warfare will be bundled with the remastered edition of Modern Warfare. Activision confirmed that they have no plans to sell the title individually making it impossible for gamers to get it anywhere else. In order to experience the world of Price and Soap one more time, you have to purchase the latest title for $60. The first trailer for Call of Duty Infinite Warfare was one of the most disliked videos on Youtube. The new video named ship assault has received more dislikes than likes yet it is on an even scale now. The Deluxe Edition includes the entire single player campaign combined with ten multiplayer maps. It might revive the multiplayer version of the game one more time. Modern Warfare continues to be the preferred choice for multiplayer tournaments because it supports LAN parties. However, the remastered edition of the game may remove the feature and make it online only. We can confirm only after the game gets launched. It’s going to be a short wait before the new Call of Duty reaches digital stores.